Fulshear Real Estate Properties offers a full range of real estate properties that include single family homes, custom homes and ranch style properties. Fulshear is conveniently located near Katy, Texas and just 30 minutes west of Downtown Houston and all the amenities the metropolitan area has to offer. 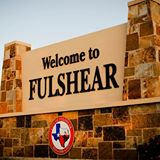 Fulshear Real Estate is one of the fastest growing in the Houston area and offers new home buyers an opportunity to purchase very affordable properties with the convenience of small town life but with the amenities of a major urban area. The Fulshear Real Estate market provides a very diverse selection of homes ranging from new construction, older single family homes and upscale master planned communities with large estate homes, custom homes and ranch properties. The most well known master planned community in the Fulshear Real Estate market is Cross Creek Ranch with amenities such as lakes, hike and bike trails, golf course and vast greenbelts and active lifesyles and Weston Lakes, a 24 hour gated community with an 18 hole golf course. Lamar Consolidated Independent School District and Katy Independent School District serves Fulshear’s School system that offer the best quality of education for students that live in the Fulshear area. CROSS CREEK RANCH – Well known for it’s lakes, hike & bike trails, parks, pools and facilities for fun, fitness and play, Cross Creek Ranch Fulshear Real Estate offers new home owners quality builders that pay attention to quality design and the environment. Cross Creek Ranch real estate pricing ranges from $300k to over $1 million. WESTON LAKES – Well known for it’s miles of sparkling lake with trophy size fish, 18 hole golf course and 24 hour guarded gate, Weston Lakes Fulshear Real Estate offers new home owners a taste of 1400 acres of the good life. Weston Lakes real estate pricing ranges from the $300k to over $1 million. FIRETHORNE – Well known for it’s spectacular beauty, walking trails and excellent schools systems, Firethorne Fulshear Real Estate offers new home owners a masterful blend of urban convenience and small town charm with recreational amenities and superior home builders. Firethorne real estate pricing ranges from $200k to $1 million. FULLBROOK – Well known for it’s simple luxury estate homes along the Brazos river, Oxbow Lake and centuries old native trees and beautiful wildlife, Fullbrook Fulshear Real Estate offers new home owners a custom estate community with wide open spaces and elegant homes. Fullbrook real estate pricing ranges from $300k to over $1 million. Fulshear Real Estate market is the fastest growing around the Houston area and the demands for new properties are very high. With new developments currently in the works, the housing market in Fulshear is affordable and the property values are very strong because of the demand. Contact Walt Temple Properties of Katy if you are interested in finding a new home or selling your home in Sugar Land, Texas. You can also search for homes with our Home Finder Tool. For more information about Sugar Land, Texas, you can go to the City of Fulshear website.